The idea of peace did not start yesterday. This goal was set a long, long time ago. of humanity has not been accomplished. Going to the moon has been accomplished. But peace has been ignored. 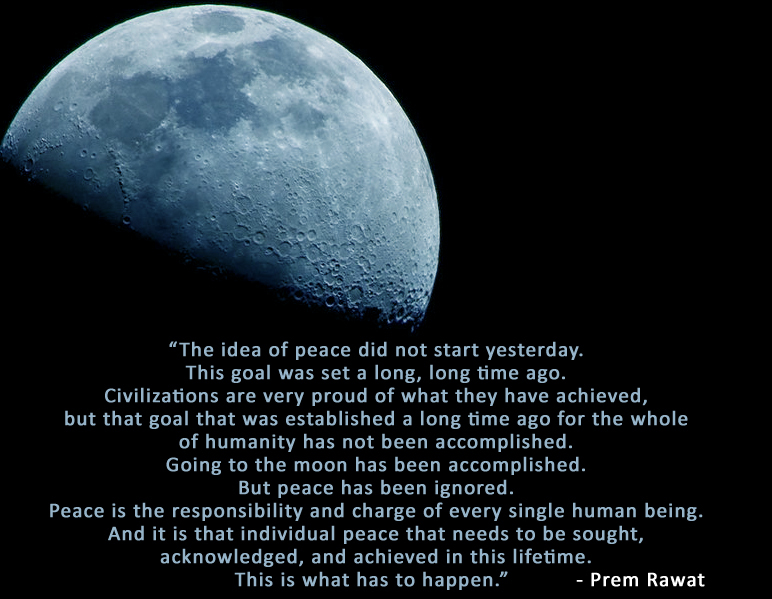 Peace is the responsibility and charge of every single human being. acknowledged, and achieved in this lifetime. This is what has to happen.